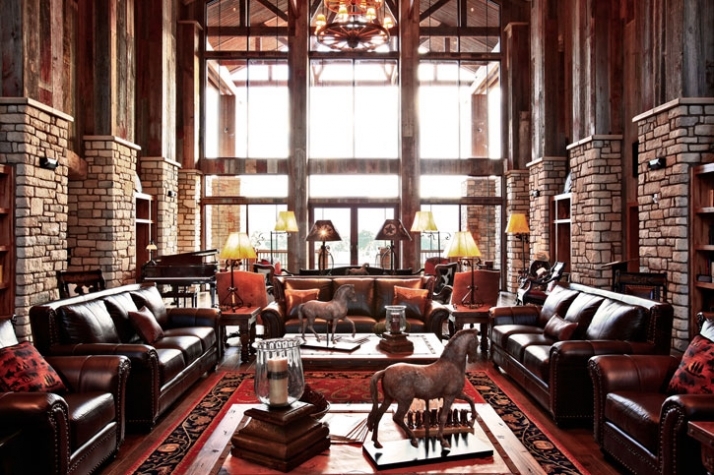 This hotel is definitely every cowboy’s dream, but it’s also every cowgirl’s dream! Yippie-I-a it surely is mine! I just can’t wait to get on the plane and land at The Silver State, not to go to the casinos and the extravagant light awing city of Las Vegas, but to head off for my dream in Alamo, NV. 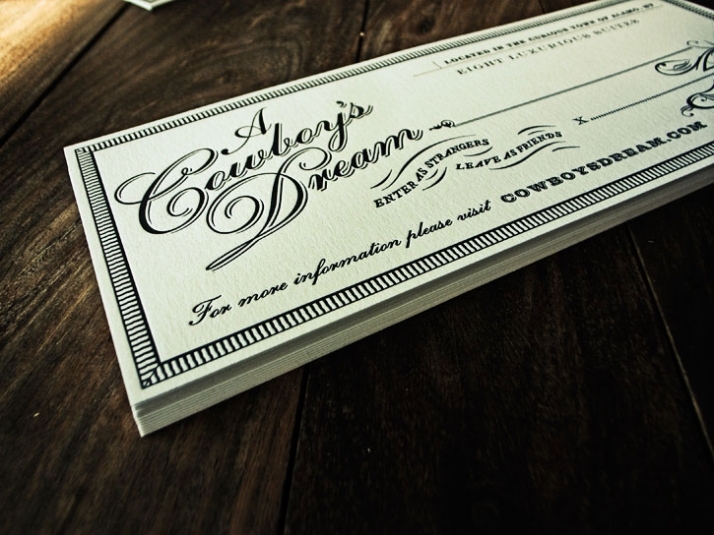 Where a 18,997 square-foot hotel // The Cowboy’s Dream, has become every persons dream due to the amazing work of Ginger Tharp, the innkeeper and her design team along with Kuro Interactive Creative Agency. 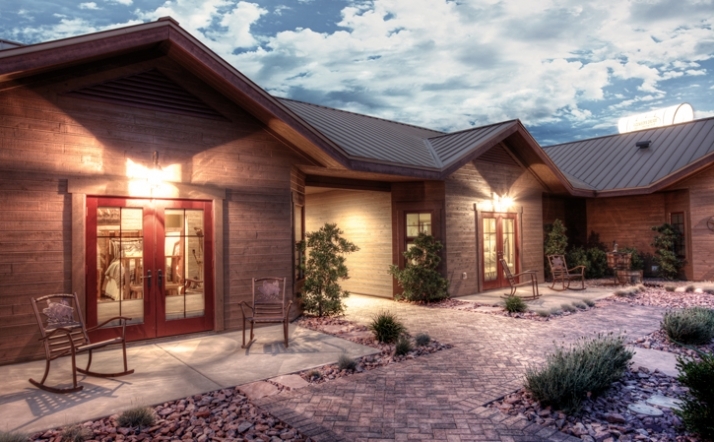 The eight-suite Bed & Breakfast Hotel opened just three months ago, in a small town 90 miles north of Las Vegas. The town attracts visitors with in an interest in wildlife due to its proximity to the Pahranagat National Wildlife Refuge. 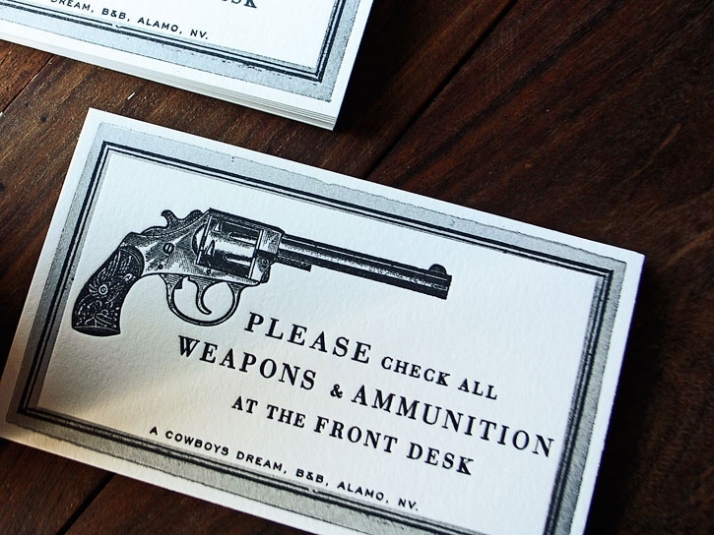 This B&B Hotel in the Wild West is a tribute to the deceased Mr. Charlie Frias, the beloved husband of Mrs. Phyllis Frias. It seemed only natural that it be brought about by the fulfillment a dream they’d shared together, to create a destination rooted deep in the spirit of family and tradition. Ginger Tharp, Project Design Specialist/Innkeeper designed the exterior and the interior of the house, while minding even the slightest detail and with the assistance of Kuro Interactive Design Agency, who took care of all the graphic, interactive and typography design, created a picturesque setting for anyone who is seeking an extraordinary experience in any one of the eight one-off and unique suites while creating a memorable escape from their everyday lives. 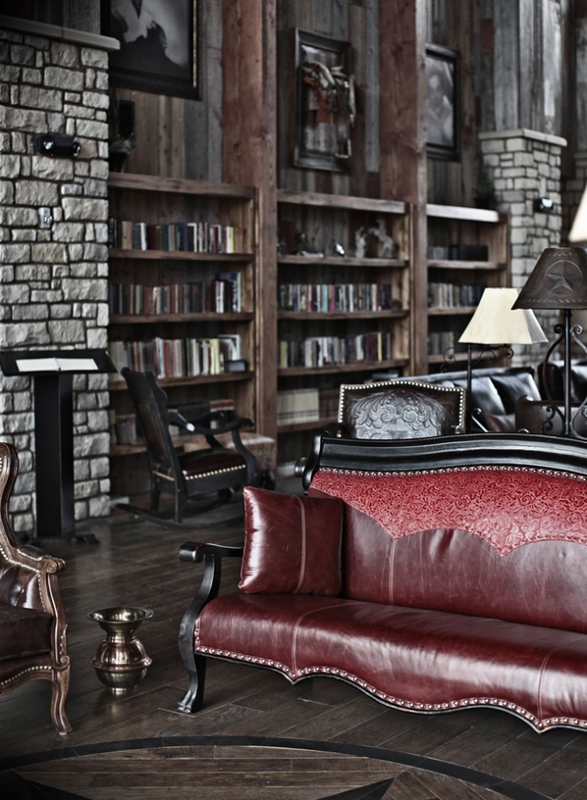 With a background as a furniture broker and in design, Tharp managed to design a well thought of nearly 19,000 square foot B&B Hotel which is a two story wood framed structure, and the bunk house is a single story structure both supported on spread footing foundations with slab on grade floors. Tharp completed all interiors, the furniture, and the interior wall finishes which are unique and special in each and every room with her team from South Carolina. 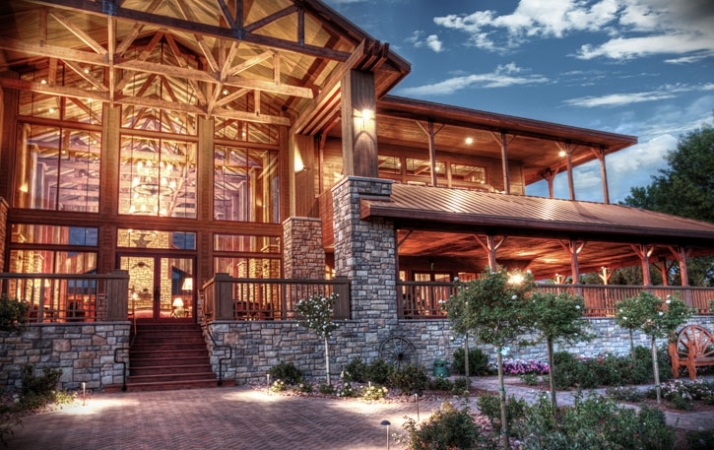 The overall design aura of the hotel gives off a very ranch like style, yet it has a feeling of chic European Chalet Hotels right in the Nevada desert of the Wild West. All suites are unique and custom-made; first of all the custom bedding fabrics were selected and later the interior wall colors or papers from the fabric selection. Unique furnishings, colors, materials and accessories as well as paintings make each room stylish with its own unique character! 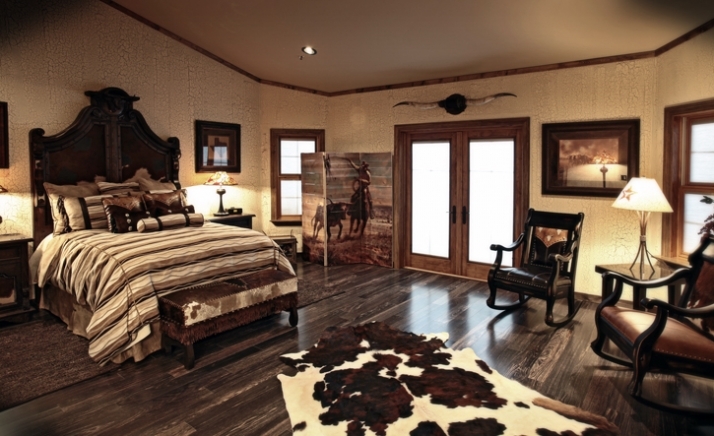 Despite the design details in each unique suite they all have one thing in common, the abundance of wood and the cowboy//ranch theme running from floor to the tall ceilings. Each suite has been designed with notice to detail by providing natural rain showerheads, custom-made bath products and private balconies. 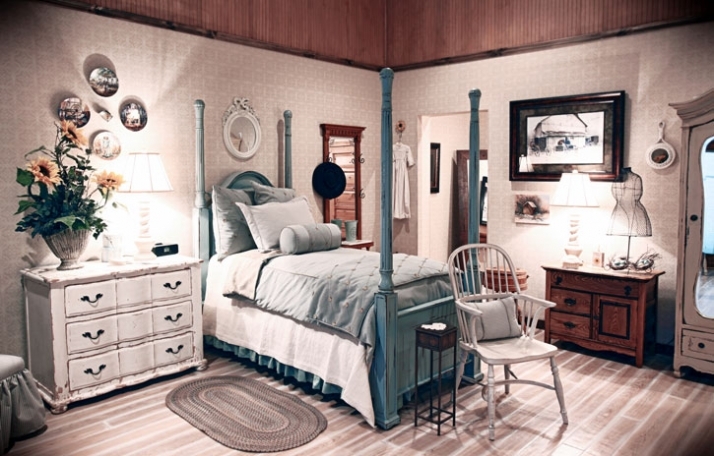 I have to admit, that the atmosphere just from the images which I’ve seen travels me back in time, while giving off a cozy feeling that each room is there to welcome its guest and make him/her put on their cowboy boots and feel like one! It surely is inevitable with all the cowboy tradition and aura which it projects. 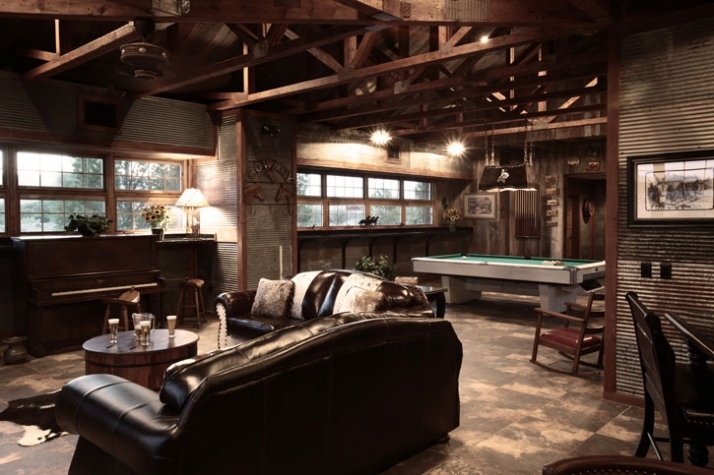 Barns and silos were taken down from Indiana and trucked all the way to Nevada, giving the house the old feel. 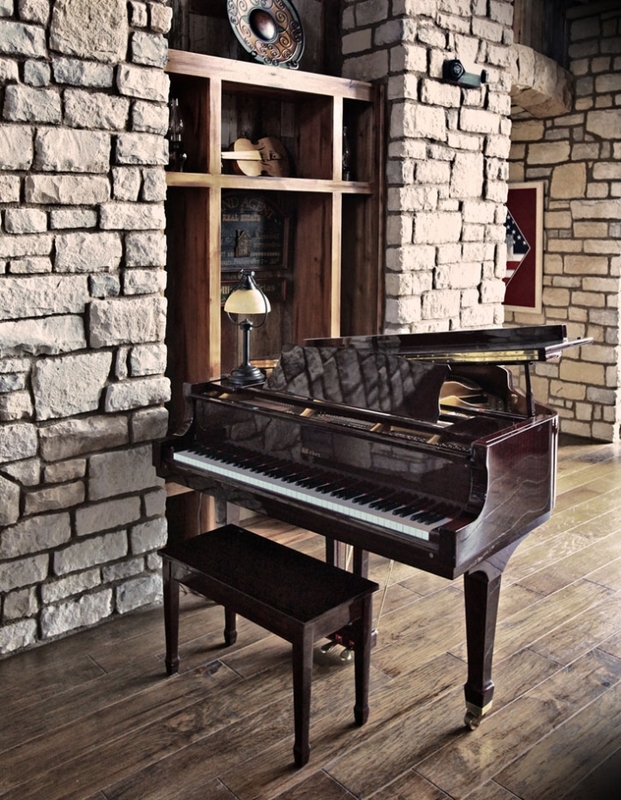 Calfskin, cowboy boots, leather, wood, carved leather sofas, a pool table, wooden flooring with spacers underneath, so that in time it will creak, as though it has been there 100 years, rocking chairs, buffalo horns, cowboy themed paintings, and some Native American pieces make this house alive! They give it a soul despite its commercial character. 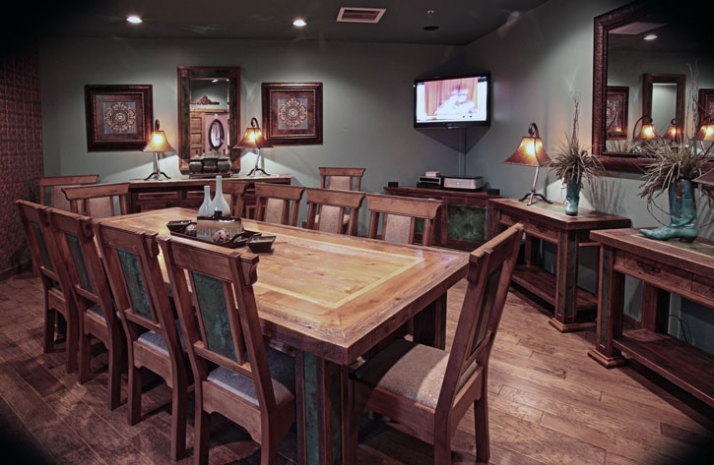 While being homely and friendly, it keeps up to standard with the amenities providing a conference room in the main house, which is Mac friendly making it an ideal retreat for corporate meetings or team-building getaways. The truth is that by now I’m half way done, and I feel as if I haven’t said all that I’ve meant to. 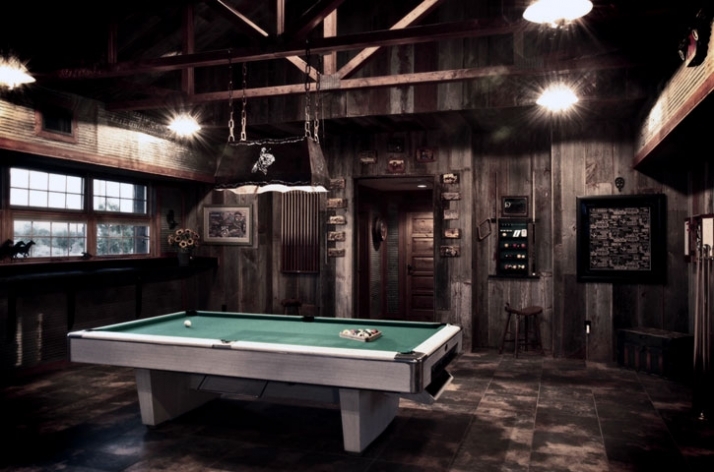 Furthermore, there is a bunkhouse for socializing and for fun as it is complete with bistro tables, a pool table, dart board, and big screen television. 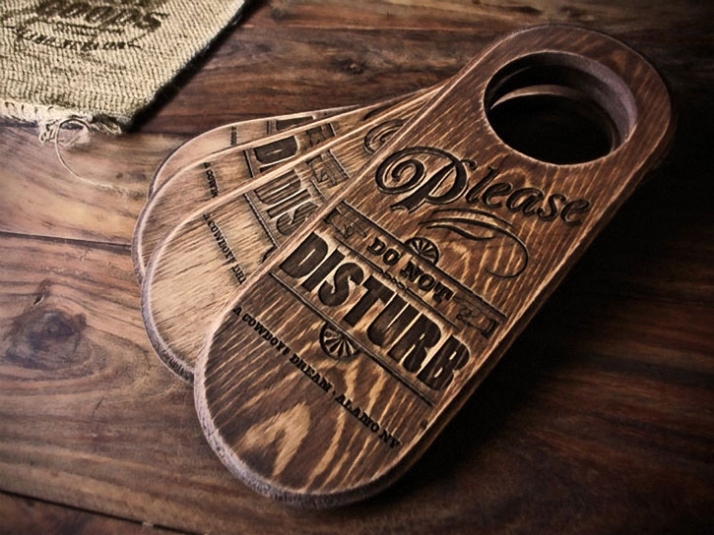 It has been done with old barn wood inside and out and old distressed tin, the bathrooms even host Jack Daniel barrel sinks to even further the western atmosphere. 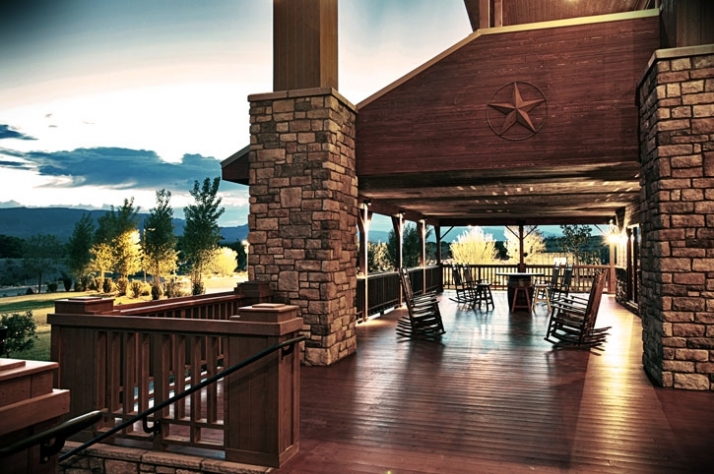 There are so many activities in this property, which will definitely fascinate anyone under the Nevada sky for summer evening cookouts complete with a cowboy poet; premises which accommodate weddings, dances and any other private events. The property also has a stretch limo for luxurious western living! I think I could just go on and on and on just from the images I’ve seen, imagine if I spent a weekend there! In any case, I wouldn’t like to ramble, but rather have you experience The Cowboy’s Dream and share your experience with us. 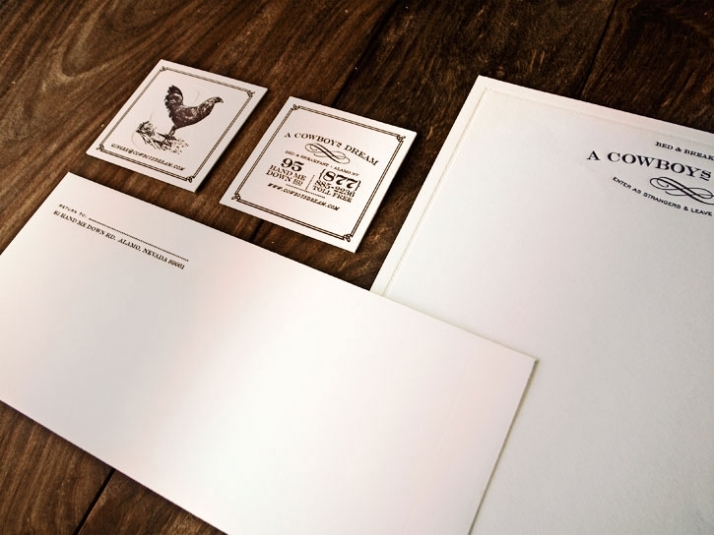 Last but not least, great detail has been placed apart from the interior and exterior design to the identity design of this luxurious B&B Hotel as well. 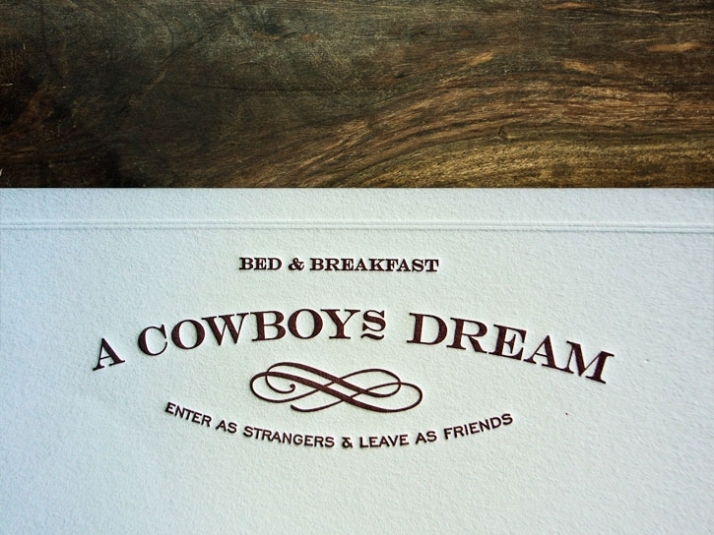 The identity, graphic, typography and web design of this hotel/cowboy ranch was created by giving an old western style. 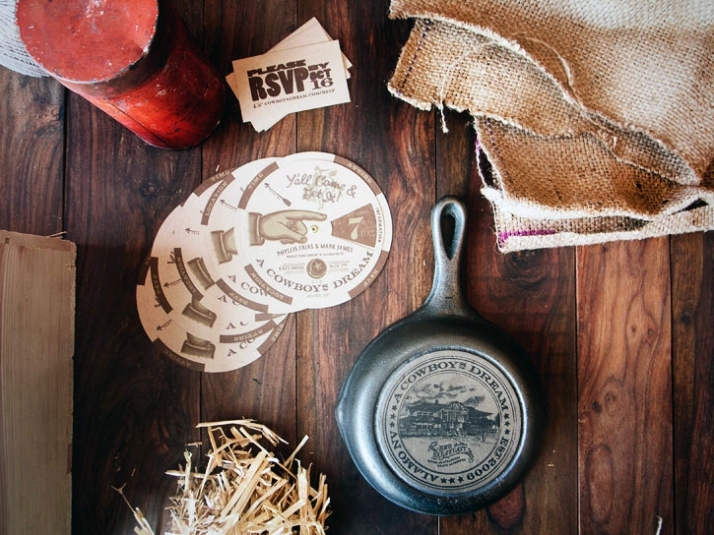 California based creative agency Kuro Interactive used elements, symbols and materials such as old paper, fabric, wood and a lot of warm colored tones such as brown and auburn red to recreate an attribute of the cowboy’s lifestyle. 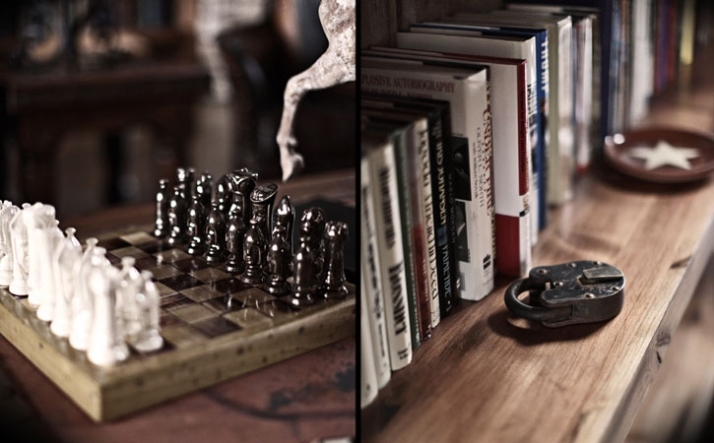 Every single item is unique and gives a reminiscent feeling of old classic western design, giving it the brand identity which it deserves // the very best! About KURO // An independent interactive advertising agency founded in 2004 by Michael Bachman and Justin Dionisio, in Long Beach, California. In August 2008, the agency opened its second location inside the Zaferia South Creative District of Long Beach. Kuro Interactive has developed a national reputation for creating and communicating brand experiences — developing products, services and spaces and marketing them through social media, advertising, experiential marketing, branded content and interactive communications.